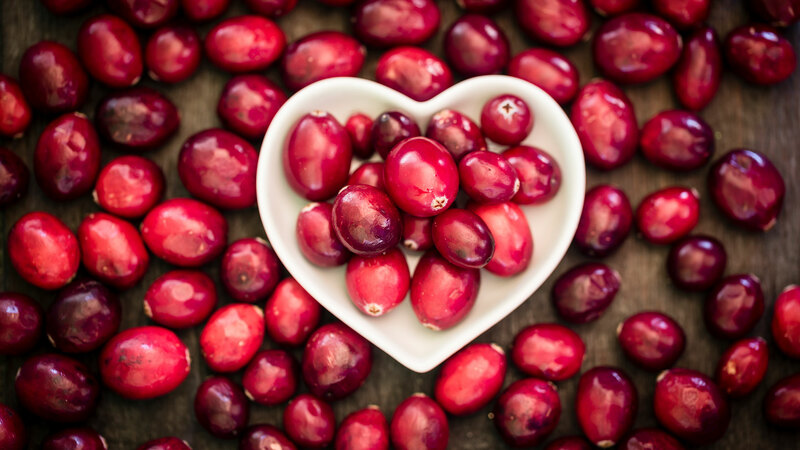 Cranberries are one of those foods you eat once a year, then totally forget about for the next 364 days. Sure, dried cranberries make appearances in some salads and baked goods, but their fresh counterpart is typically relegated to the fourth Thursday in November. But why? They’re tart, tasty and best of all, come with some great health benefits. According to Dr. Julie Miller Jones, a nutritionist and professor emerita of nutrition in the Department of Family, Consumer and Nutritional Sciences at St. Catherine University in St. Paul, Minnesota, there are a lot of reasons cranberries are good for you year-round. Not only that, but the bright-red color of cranberries brings healthful phytonutrients and adds a pop of color to everyday meals and snacks and festive touches to holiday meals, Jones explains. Serving cranberries for Thanksgiving makes sense. According to the Cranberry Institute, most cranberries are harvested between September and October in the U.S. and Canada. More: Does Cinnamon Have Any Health Benefits? But even though they’re only in season for a short part of the year, there are many options for eating cranberries year-round, Jones explains, like in snacks or dishes with frozen and dried cranberries, cranberry juices and sauces. And don’t worry: The beneficial polyphenolics are present in these forms as well. In fact, Jones says the biggest myth surrounding the berry and nutrition is that you have to consume 100 percent cranberry juice or fresh cranberries to gain health benefits. This is not the case. One thing to keep in mind is that because cranberries are very tart, they are typically enjoyed with the addition of sweetener. While this is something to consider if you are limiting your intake of sugar or other sweeteners, their addition to cranberries does not influence the beneficial effects of the PACs, Jones clarifies. More: What Are the Health Benefits of Ginger? For example, cranberry juice cocktail usually contains about 27 percent cranberry juice and has about 36 milligrams of PACs in a 10-ounce glass. According to Jones, this amount has been shown in human clinical trials to effectively reduce the incidence of recurrent urinary tract infections. For recipes and ideas on how to incorporate the berry and its benefits all year, visit the U.S. Cranberries website. A version of this story was originally published November 2017.